When Leilani Farha paid a visit to San Francisco in January, she knew the grim reputation of the city’s homeless encampments. In her four years as the United Nations Special Rapporteur for Adequate Housing, Farha has visited the slums of Mumbai, Delhi, Mexico City, Jarkarta, and Manila. The crisis in San Francisco, she said, is comparable to these conditions. In the city’s core, homeless residents were denied basic access to water, toilets, and sanitation facilities. There were piles of trash and scattered feces on the ground. In the neighboring camps in Oakland, rats dug through the mud and families huddled outside in the cold. The experience, she said, shook her to her core. The visit led to a report in which she described San Francisco’s crisis as a human rights violation. The language may sound grave — but so is the crisis. „The last time I had seen someone cooking on the sidewalk like that was in India, with the pavement dwellers there, and here I am in San Francisco in a state with the sixth largest GDP in the world,“ said Farha. „I think he was in the midst of developing a psychosocial disability from the trauma of being on the streets,“ she said. While many homeless residents in California are native to the area, the man’s story is relatively common. 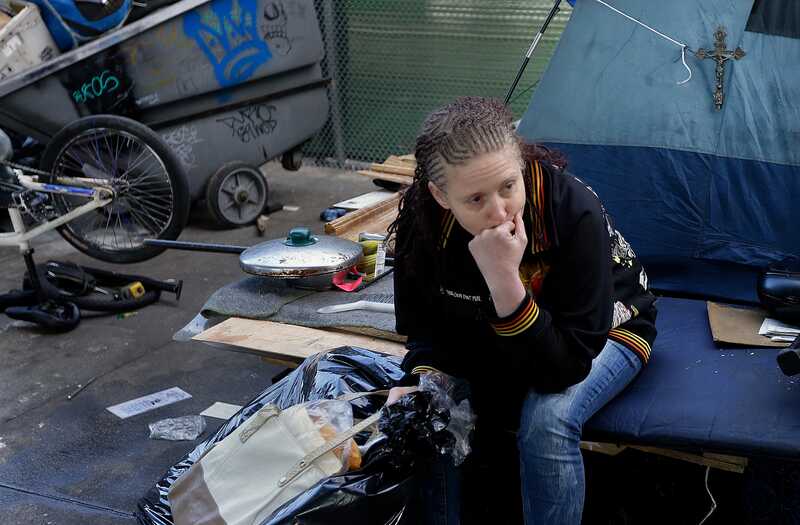 Farha said most of the homeless residents she met in San Francisco were victims of hard times. „They were working and then their apartment building got sold to someone, the investor raised the rents, the person couldn’t afford it anymore, they couch surfed for a while, and then they hit the street,“ she said. 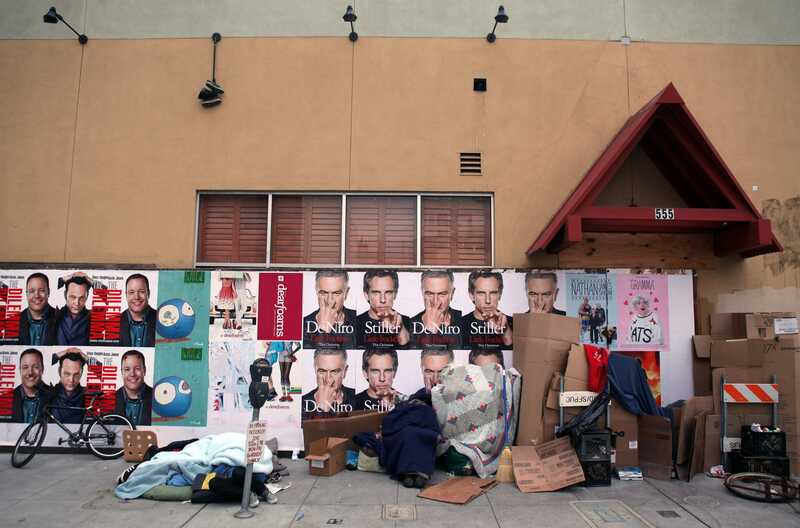 San Francisco’s crisis of open air drug markets, discarded needles, and piles of poop on the sidewalk dates back to the nation’s neo-liberal housing policies in the 1980s, according to Farha. These policies allowed the private sector to wrest control of investments in the affordable housing market, while the government slowly retreated. In 1986, President Reagan signed a housing tax credit that gave big corporations more oversight over low-income housing. By the 2000s, companies were selling off social housing — dubbed „housing of last resort“ — for major profits. In the current market, investors in cities across the country frequently buy units and flip them into short-term rentals on services like HomeAway and Airbnb. All the while, the world’s wealthy billionaires are scooping up luxury apartments, creating a demand for high-end real estate. To make sense of the San Francisco crisis, Farha has had to sift through this winding history. „I’ve had to get my head around all this stuff just to understand homelessness,“ she said. Many residents have been quick to blame San Francisco’s housing crisis on major tech companies like Google, Intel, Apple, Facebook, and Twitter. As early as 2013, San Franciscans took to protesting the private buses that shuttle Google workers from their homes in the city to the company’s Silicon Valley headquarters. Though Farha acknowledges the stark contrast between the city’s multi-billion-dollar tech firms and residents sleeping on the streets, she doesn’t think techies are exclusively to blame. In early November, Farha praised Salesforce chairman Marc Benioff’s decision to support Proposition C, a controversial ballot measure in San Francisco that will tax the city’s largest corporations to fund services for the homeless. The measure passed on Tuesday, but was just shy of a two-thirds majority, meaning it could be stalled by legal proceedings for years to come. At least one key player in California has taken note of Farha’s concerns. After releasing her report in September, Farha received a call from Oakland Mayor Libby Schaaf, who wanted to start a dialogue about addressing the Bay Area homelessness crisis. Despite the complicated nature of the issue, Farha isn’t short on solutions. But first, she said, people have to understand that housing isn’t a commodity — it’s a human right. Under international human rights law, governments are required „to apply the maximum of available resources to upgrading informal settlements“ like slums, shanty towns, and homeless encampments. „It’s not to say that we want to bring down capitalism,“ Farha said. Instead, she said, the human rights obligation lies with the government, which is responsible for regulating private actors.